Hello Everyone! 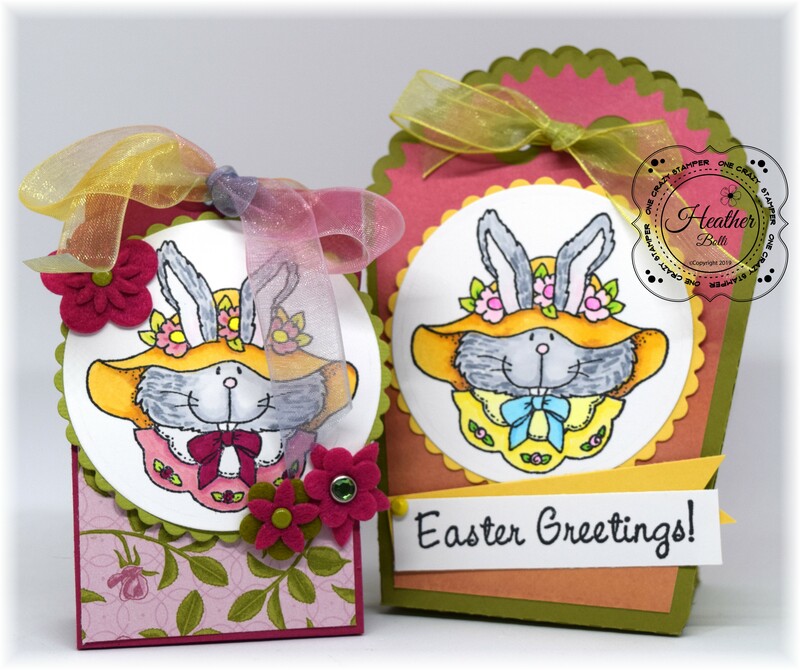 Welcoem to a new challenge with Pammie’s Inky Pinkie’s Design Team. Our challenges are posted every Monday and you have until Sunday to come and play along and be entered for a chance to win a prize from our terrific sponsors. With only a few exceptions, their challenges are always Anything Goes! So, it’s easy to come and play with us. Our generous sponsor this week is Sparkle N Sprinkle! I saw this image and just HAD to check it out! Disco Fever!! I hope you come and play along with us! 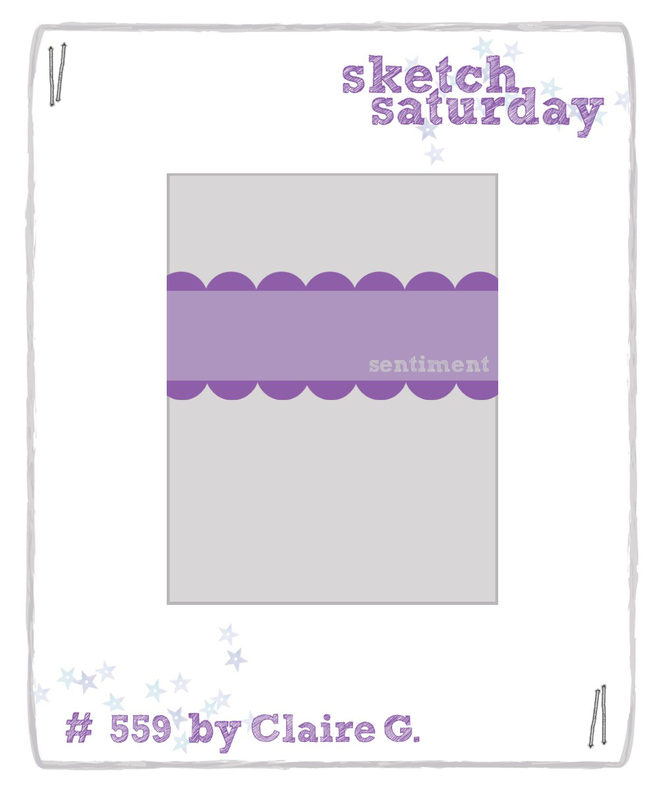 One lucky challenge entrant will win a prize from our sponsor (and then maybe you’ll own this adorable stamp too!). 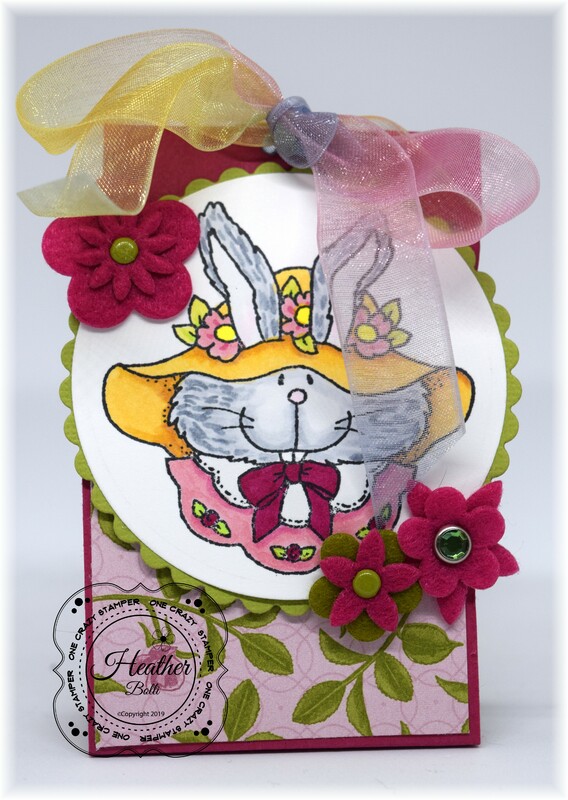 Head on over to the Pammie’s Inky Pinkie’s blog to link up your new creation using the sketch. Good luck! Happy almost Sunday, everyone! 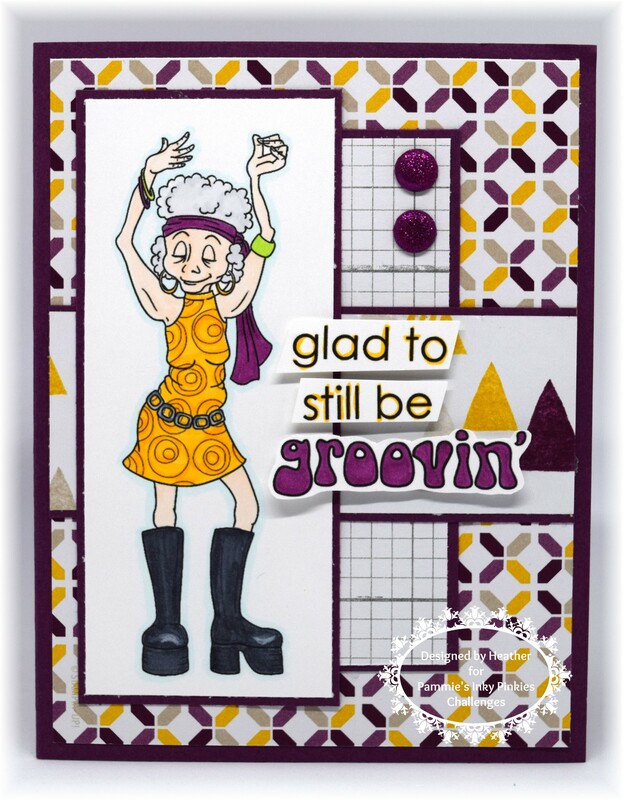 Every Sunday, I post inspiration with High Hopes Rubber Stamps on the One Crazy Stamper blog. Since I schedule my blog here to post at the same time, it ends up being a late Saturday night post. Well, happy Easter Sunday in just a few short hours. We’re spending the weekend with family and celebrating a most special event. Not only is the Easter bunny coming to visit (a cause for celebration in itself) but my youngest is a very important five years old today! 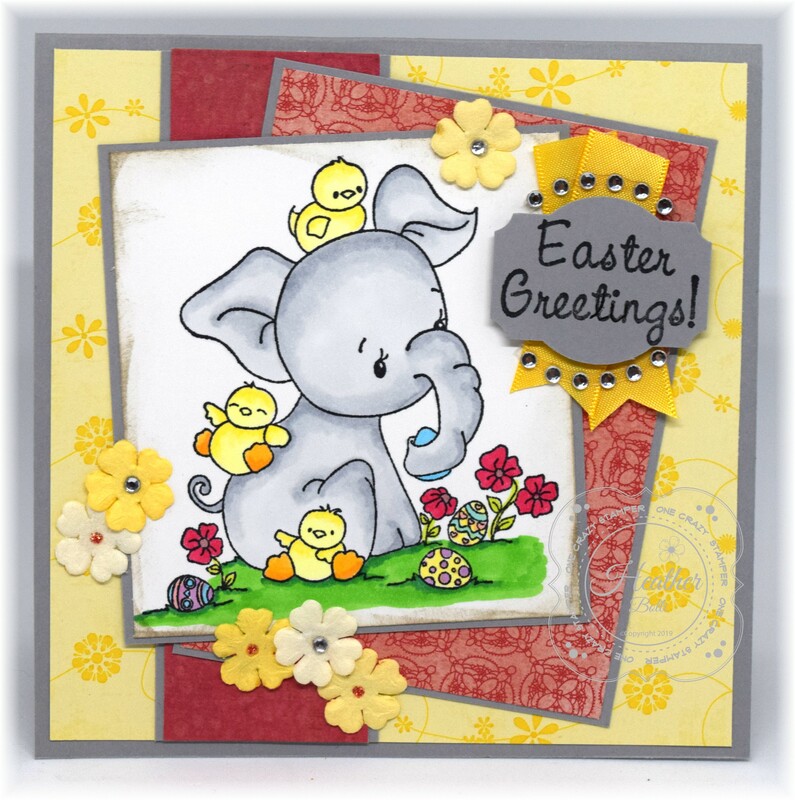 And so, for my not-so-little baby, I made this Egg-Cellent Friend card featuring this adorable baby elephant and friends. I had planned to make this a birthday card, but instead settled on Script Easter Greetings. Quite frankly, it’s still going to be a birthday card (even though at five, the cards don’t get all the attention they deserve). I sure hope your Sunday is as special as a five-year-old’s birthday on Easter (and that’s pretty special). Remember that time, three months ago where I stated my full intention to be on time with my mystery image cards this year? Yeah, I remember that too. And, then reality comes along and crafting and coloring turns to laundry and tax season. It’s all cool, we’ve got the whole year to get back on track (sigh). Angie chose our image for February and went with a masculine choice. I love this little bear, “Mr. Fix-it” from Stampavie. 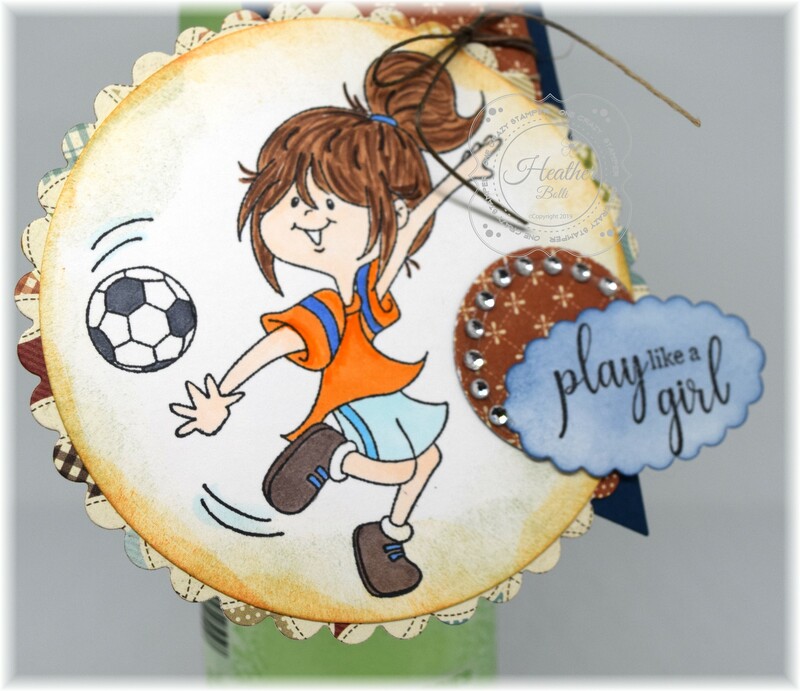 I found this perfectly matching paer and kept my embellishments simple (I think!). 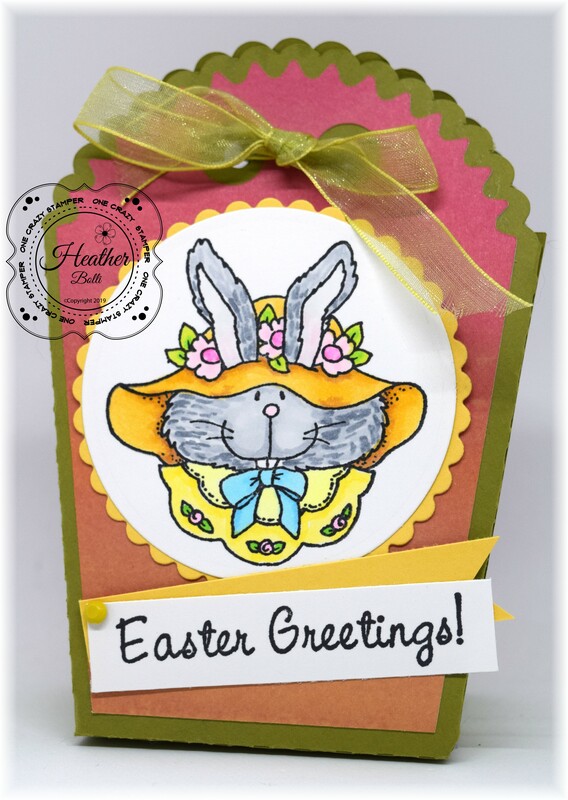 And, now to find out where this lovely card is headed! March image is in my hands, but April’s is not. In my crazy world, that means I can still catch up…can I do it? Let’s find out. Hello Everyone! It’s time for the next round of the Unidentified Image Swap. I always have so much fun with this group. I don’t usually make duplicate cards, for some reason when these images come along, I can’t wait to get started! The image for this round was chosen by Lela. I found the perfect paper to pair it with! Say cheese, everyone. The next round of this swap is in June. I’m host, which means my image choice. I hope everyone likes what I chose! The first treat bag is a simple design with no sides on it. It’s basically a long piece of cardstock scored into a triangular shape, with an extra flap to close the bag up. The wrapped treat has been stapled to the front panel. I put a magnet closure in it to make it easy to reuse, if you like. 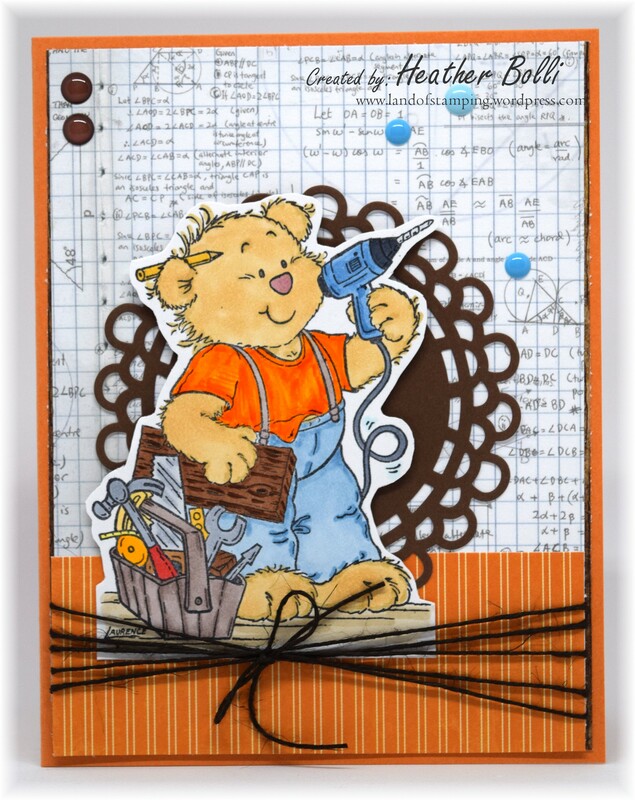 Please swing by the One Crazy Stamper store and blog and check out all the great products they have. You can also find more inspiration on the Facebook page. 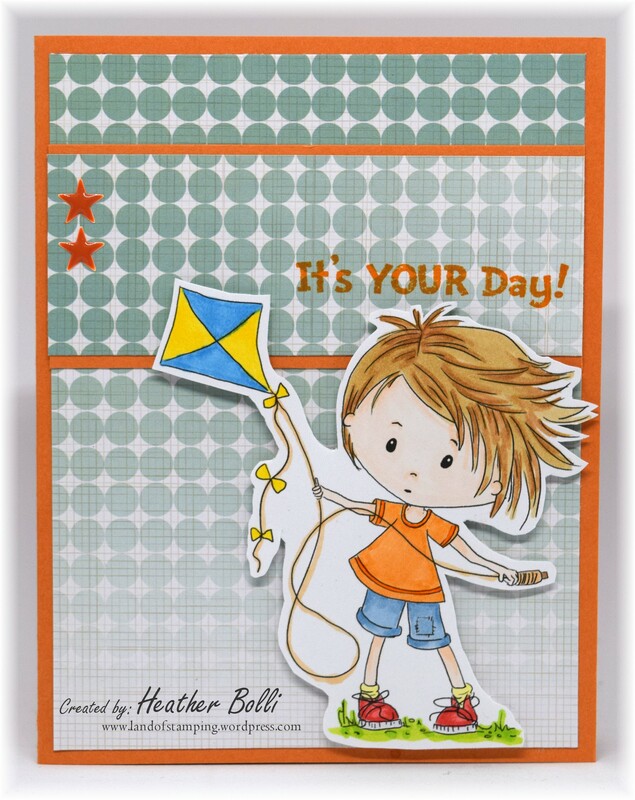 The sponsor this week is Polkadoodles and I’m working with Flying a Kite. April’s off to a great start! It’s warm-ish, but at least the snow hasn’t appeared yet. That’s pretty good for April! Around our house, there’s excitement for extended park visits, bike rides, sidewalk art pictures and the upcoming start to soccer season. This year, we’ve got two little players and one big coach! With games twice a week, it makes for a busy spring. But, everyone has so much fun. 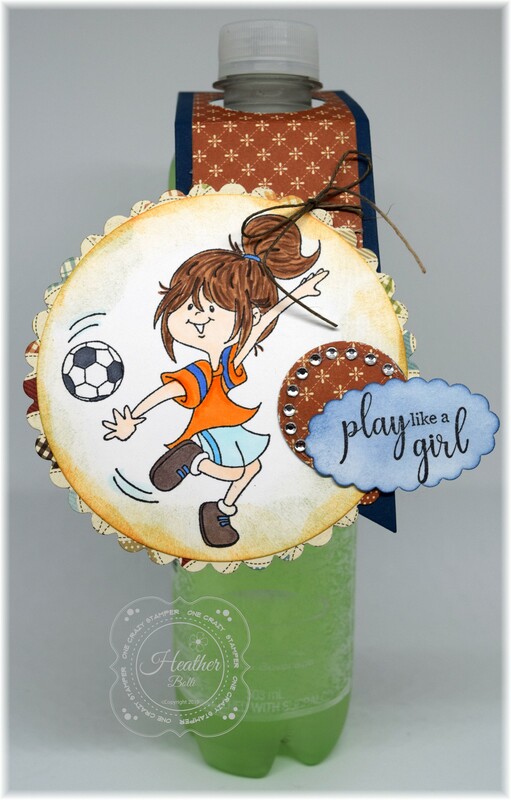 So for this week, I made an adorable waterbottle topper to kick off the season! Super easy, this was! I simply made a bookmark (using my fishtail flag dies, but a rectangle would work too) and then punched a hole in one end big enough for the bottle top. Then, I scored a line underneath the circle to have it lie flat against the bottle. Since it’s for my beautiful daughter, I just couldn’t resist adding a little bling! Now, let’s play!